Now that the kids are back in school, they tend to come home starving- right? 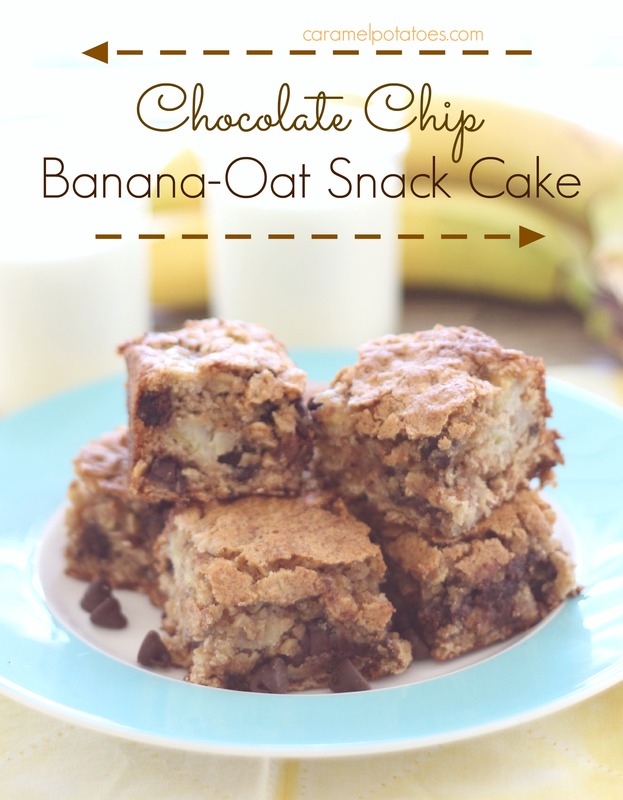 This Chocolate Chip Banana-Oat Snack Cake is perfect for an after school snack or lunch box treat. It’s easy to make and will satisfy that after-school hunger. 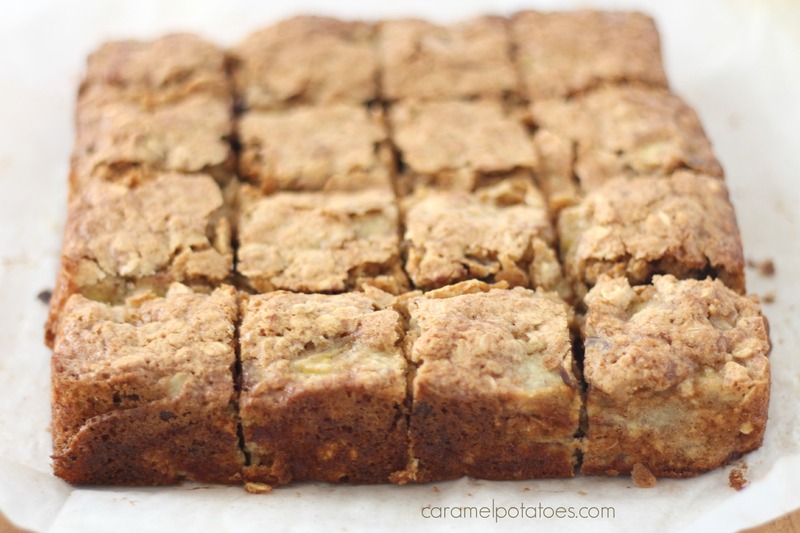 It is full of bananas and oats with a little hint of sweet chocolate. ~They’ll love it. Preheat oven to 350 degrees. Lightly coat an 8×8 baking dish with cooking spray and line with parchment paper. combine oats, flour, baking powder, cinnamon, and salt in a large bowl; set aside. Whisk brown sugar, eggs, and vanilla in another large bowl until mixture is smooth. Slowly add butter into brown sugar mixture, whisking constantly until well blended. Add bananas to dry ingredients; toss to coat. Stir into brown sugar mixture (batter will be thick). Fold in chocolate chips. Spread batter in prepared dish. Bake until cake is golden brown and the edges start to pull away from sides of dish, 35–40 minutes. Transfer to a wire rack and let cool completely in dish.